1). Resist bacteria. 2). Resist oxidation. 3). Strengthen the immune system. The olive tree, Olea europaea, is an evergreen tree or shrub native to the Mediterranean, Asia, and Africa. It is short and squat, and rarely exceeds 8–15 m (26–49 ft) in height. 'Pisciottana', a unique variety comprising 40,000 trees found only in the area around Pisciotta in the Campania region of southernItaly often exceeds this, with correspondingly large trunk diameters. The silvery green leaves are oblong, measuring 4–10 cm (1.6–3.9 in) long and 1–3 cm (0.39–1.18 in) wide. The trunk is typically gnarled and twisted. Olive leaf extract is characterized by a high content of polyphenols, which are micronutrients we get through our diet (such as eating olive oil) .Olive phenols and their derivatives are associated with many therapeutic properties. The health benefits gained from these polyphenols depend on how much is consumed, and on how much the body can absorb . Application：Applied in medicine, health care products, and cosmetics. 1. 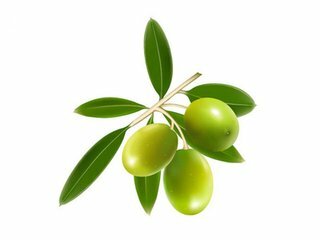 Olive leaf extract can be made into capsules, troche and granule as healthy food and drug. 2. High quality Olive leaf extract, which have good solubility in water and ethanol plus the solution transparence and brilliance color, has been widely added into the beverage and cosmetics as the functional content. 3. Olive leaf extract can be incorporated into a formulation for skin damage either by UV radiation or for assisting with wound healing. 4. For its anti-oxidant, Olive leaf extractis also added into all kinds of foods as the nurture, natural antiseptic in Europe and USA, and it has increased the safety of the food.